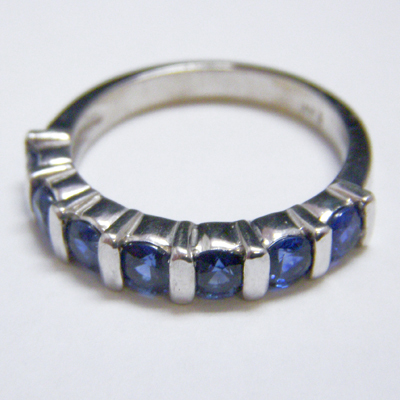 This platinum and sapphire gem lock ring contains 7 round cut royal blue sapphires with a total weight of 0.7 ct.
To inquire about this item, please call 415-781-0218 or Contact Us through email. We've added a diamond search page to the site. You can now search for diamonds of all shapes and sizes! Click HERE to check it out.